Having visited the U.S. In 2010 and seeing plenty of the 2005 model Mustangs out and about I returned to the UK with one thought in mind “I have to have one”. My first being a 2007 GT model that I purchased from an American car dealer in the North West. I owned the 2007 model for over 3 years but decided to sell for no other reason than I felt I wasn’t getting the use out if it. Oh what a mistake that was!! 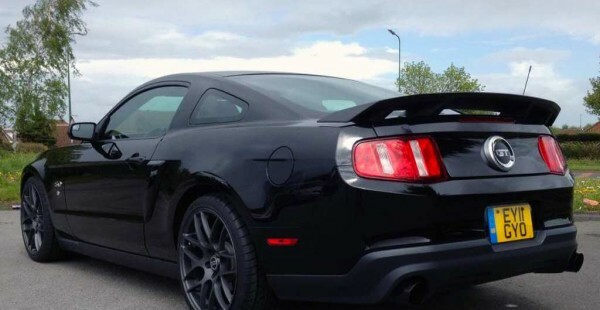 Advertising through the Mustang Owners Club a fellow member showed an interest and in January 2014 a deal was done. The car was driven away and I immediately regretted my decision to sell. The poise, the looks, the presence and oh that exhaust noise as it drove off made me realise how much these cars get under your skin. So the hunt was on. I’d read about the new 5.0 coyote engine introduced in 2011 with over 400BHP from the factory, but wasn’t sure my budget would stretch and to be honest I was more than happy with the performance of the 4.6 modular engine. 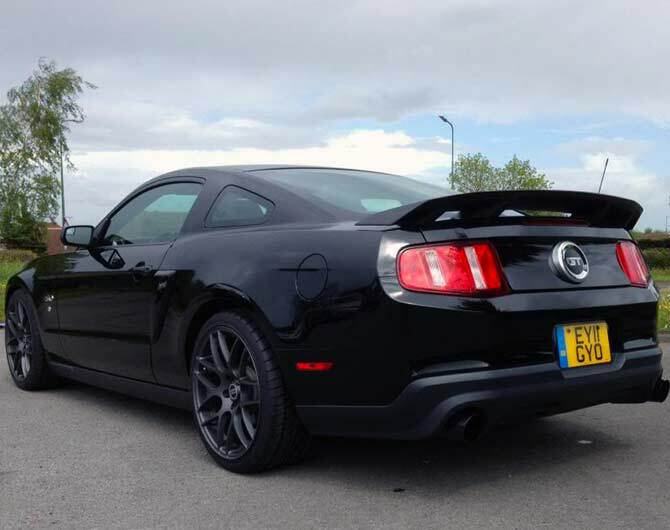 Posting a ‘wanted ad’ up on the owners club forum I was contacted by Dan, a fellow enthusiast as he was thinking about selling his black 2011 GT with the 6 speed manual gearbox. It was just inside my budget but only just! A few emails and phone calls later and I found myself in Braintree, Essex. The vehicle had been imported by Dan after he purchased the car from an elderly gent during a holiday in the U.S. Unusually a full history file was present and the car was in excellent condition even though she had travelled over 40k miles in the course of 2 years. The specification was perfect. Black exterior with the optional appearance package of hood scoop, side scoop and pedestal rear spoiler. Inside was black leather with the comfort package (heated seats, elec passenger seat etc). You know they say you shouldn’t buy the first car you see… Well that went out of the window and a deal was done. 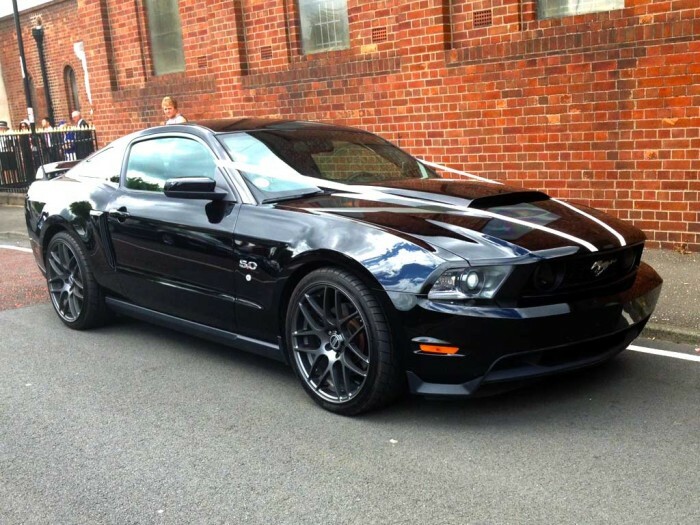 So in March 2014 I became the proud owner of the mustang you see here. However, I wasn’t entirely happy with the look on the standard 18″ wheels, the suspension was a bit too high and the exhaust somewhat muted. 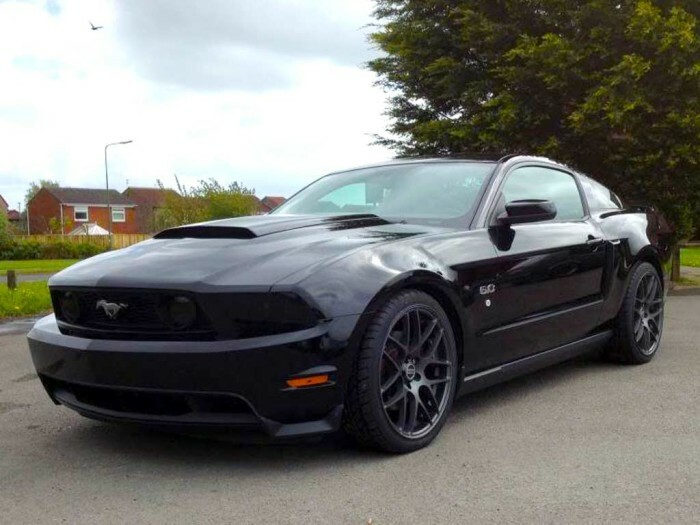 So within a few months I sourced a set of 20″ alloy wheels and tyres from American Muscle in the U.S. and booked the car in for some new axle back exhausts and lowering springs to complement the new wheels. Upon removing the front struts the top mounts fell apart and they didn’t have any to fit mine! Some quick thinking later and some more raiding of the piggy bank we decided the best course of action was to change out the front and rear suspension for a full Ford KR set-up which fortunately they had in stock and it makes a huge difference out on the road. So there we have it and that is how my Mustang is today. Any future plans? I’m not too sure maybe if funds allow a supercharger conversion to release a few more HP but for now I’m just going to enjoy the car how it is. I think she looks just right, has some real presence on the road and oh did I mention the noise. 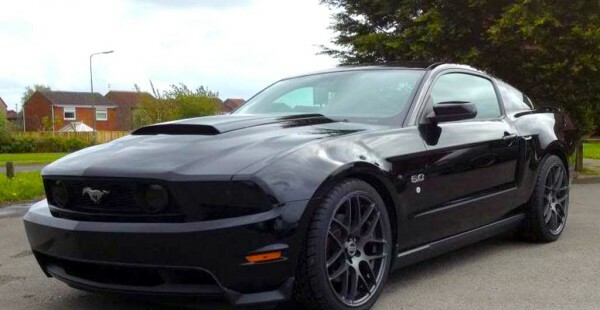 Just to conclude I’ve owned many nice cars in the past but nothing that compares to the Mustang in terms of the whole ownership experience and how it makes people feel. From young kids giving the thumbs up as you pass and demanding burn outs (not that I partake) to older people just stopping and staring and giving a knowing smile. Even popping to the shops you can bet someone will want to stop and talk. 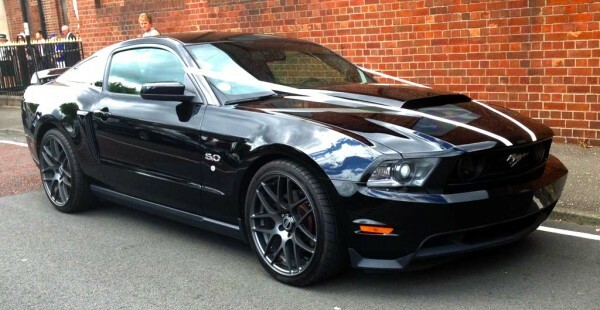 It’s the working mans muscle car, everyone recognises a mustang… Right? I’ve also made some good pals along the way through the owners club and if my car can help make someone’s special day that little bit more special then what’s not to enjoy about that?